Adelaide Hills is a city located in South Australia and his population is 60,394 inhabitants. On this page you can consult informations about distances and roadmaps from Adelaide Hills to major cities and places in Australia. 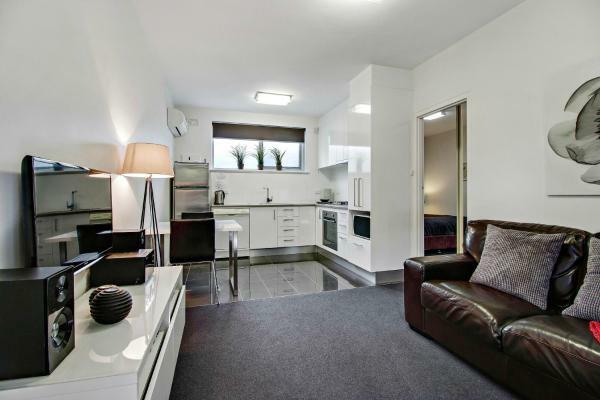 A tennis court and a garden are available in-house at Adelaide City Apartment - 3br, 2bath & Carpark, which is located in Adelaide, just less than 1 km away from Victoria Square and a 17-minute walk away from Adelaide Central Market. This hotel is 9.38 km from city center. 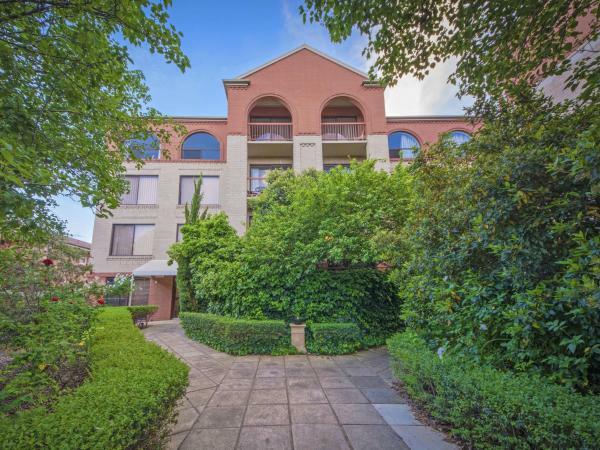 Offering a garden and garden view, ADELAIDE CBD APARTMENT - 3BR, 2BATH & CARPARK is situated in Adelaide, less than 1 km from Victoria Square and a 17-minute walk from Adelaide Central Market. Complimentary WiFi is available. This hotel is 9.38 km from city center. 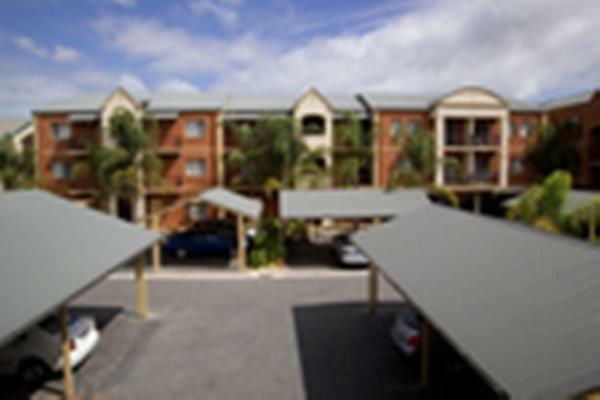 Offering views of Hurtle Square from your private balcony, Windsor on the Park is situated in Adelaide. Victoria Square is 700 metres away. Free WiFi is offered throughout the property and free private parking is available on site. This hotel is 9.38 km from city center. 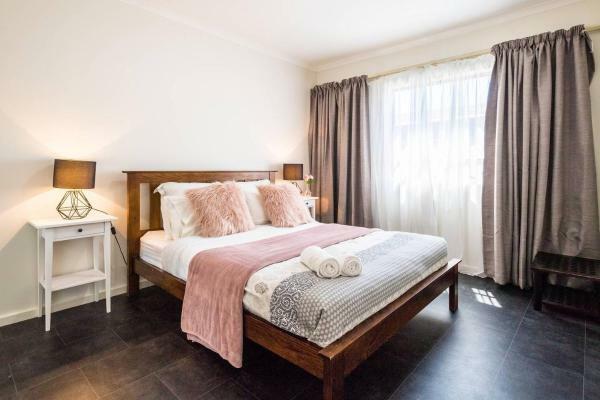 Located in the heart of Adelaide, Bent St Apartments offers a cosy, fully furnished 2 bedroom city apartment featuring reverse cycle air conditioning, breakfast, WiFi and private balcony. Free private parking is available on site. This hotel is 9.21 km from city center. 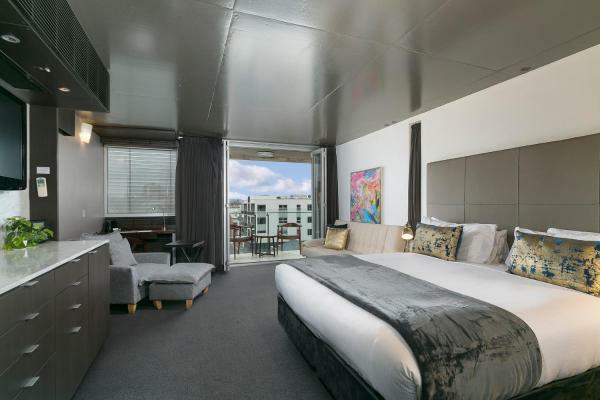 The award-winning 4.5-star Majestic Roof Garden Hotel is located only 50 metres from the bars, restaurants and shopping of Rundle Street. Guests have access to the rooftop garden with panoramic city views. This hotel is 9.18 km from city center. Mantra on Frome offers open-plan studios and a range of apartments, within walking distance from Adelaide’s CBD and Rundle Mall. Theatres, entertainment and restaurants are on your doorstop. All accommodation features air conditioning and cable TV. This hotel is 9.17 km from city center. 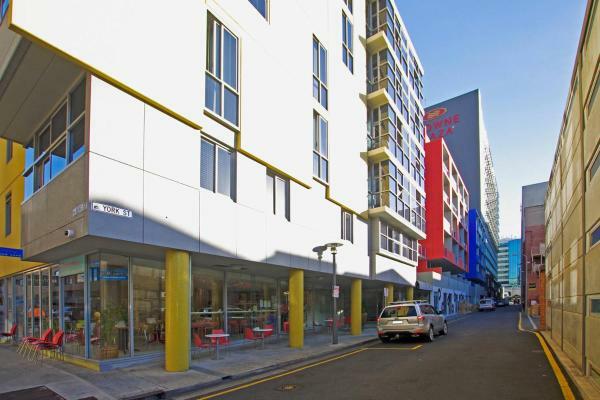 Just a 2-minute walk from the trendy restaurants and shops at Melbourne Street, Adelaide DressCircle Apartments - Sussex Street provides fully furnished apartments with free Wi-Fi, local calls and on-site parking. This hotel is 9.03 km from city center. 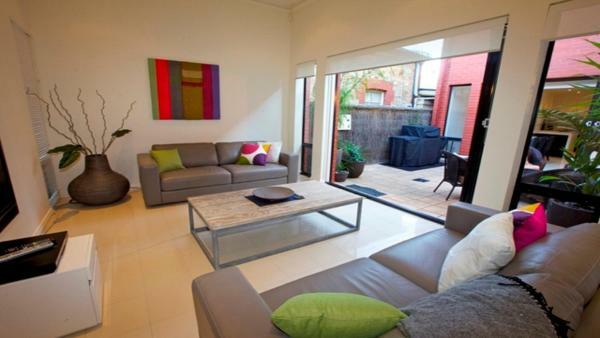 Located in Adelaide, 1.3 km from Victoria Square, Swainson on Castle provides a living room with a flat-screen TV. This holiday home has a garden. The holiday home is composed of 3 bedrooms, a living room, a fully equipped kitchen, and 1 bathroom. This hotel is 9.32 km from city center. Offering free bikes, Swainson on Union is located in Adelaide, not far from Ayers House Museum. Complimentary WiFi is offered. Certain units are equipped with air conditioning, a flat-screen TV, washing machine and a kettle, completed with a... This hotel is 9.11 km from city center. 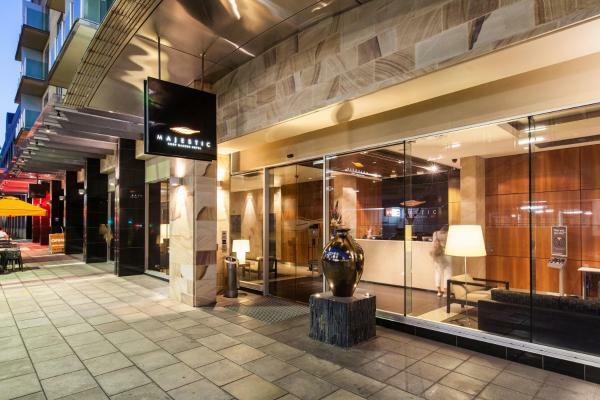 Situated in the Adelaide CBD district of Adelaide, just 1.4 km from Victoria Square, South Tce Apartments features air conditioning and free WiFi. The property is 2 km from Adelaide Central Market. This hotel is 9.38 km from city center. 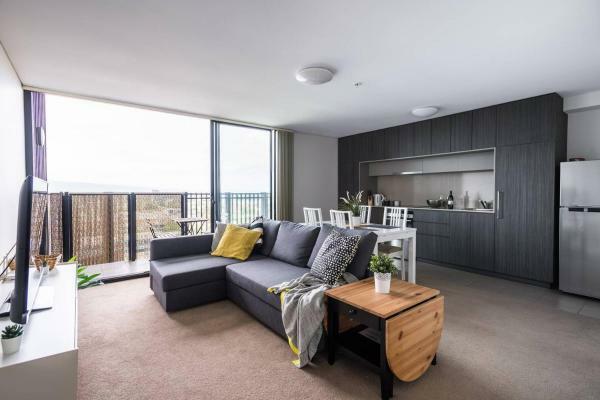 Offering a balcony with garden views, Luxury Escape in Adelaides East End features free secure parking. This self-contained accommodation includes a fully equipped kitchen with an oven and a microwave. This hotel is 9.11 km from city center. Built in 1897, Adabco Boutique Hotel offers guests free WiFi and a 55-inch flat-screen TV with cable channels. A communal kitchen and outdoor terrace is located on each floor. This hotel is 9.20 km from city center. The Terrace- Beautiful home in quiet street. 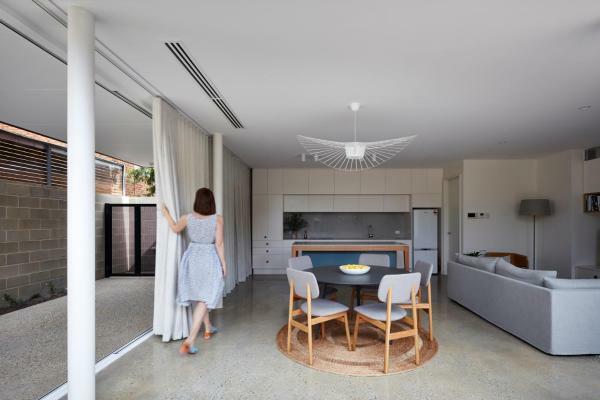 The Terrace- Beautiful home in quiet street., a property with barbecue facilities, is situated in Adelaide, 2.1 km from Adelaide Oval, 2.5 km from Adelaide Botanic Garden, as well as 2.7 km from Beehive Corner Building. The property is 2. This hotel is 8.99 km from city center. 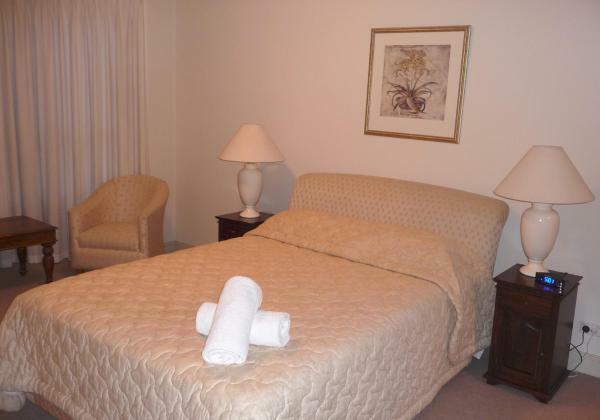 Just 1 kilometre from Adelaide Zoo, Grand Apartments offer self-contained accommodation with a private balcony. All air-conditioned apartments include laundry facilities and a fully equipped kitchen with a microwave and refrigerator. This hotel is 8.95 km from city center. 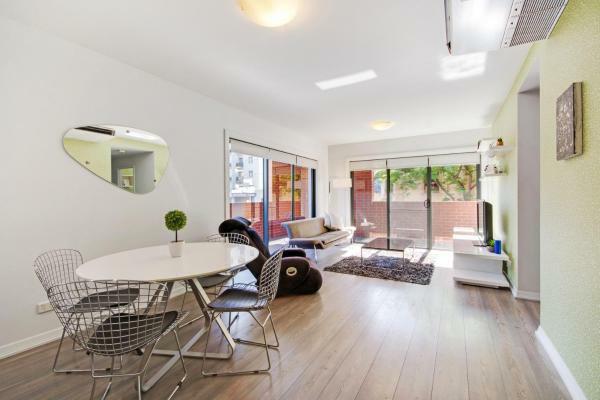 Set in the Adelaide CBD of Adelaide, 1.3 km from Victoria Square and 1.8 km from Adelaide Central Market, 3 Bedroom Executive Townhouse WIFI & Netflix offers air conditioning. Guests may enjoy free WiFi. This hotel is 9.22 km from city center. 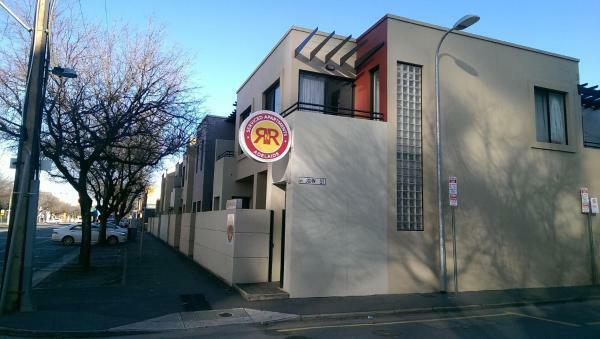 Entire Apt Adelaide’s iconic East End+WIFI&Netflix has a patio and is situated in Adelaide, within just 500 metres of Ayers House Museum and 1.2 km of Beehive Corner Building. Guests staying at this apartment have access to a fully equipped kitchen. This hotel is 9.02 km from city center. Offering free WiFi, Modern 2 Bedroom+WIFI/Netflix/Parking+Great Views! 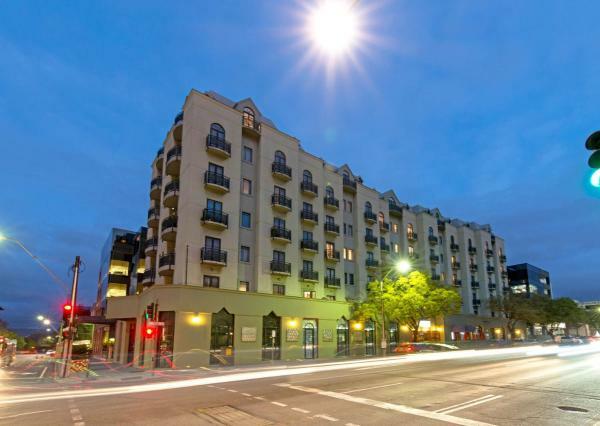 is set right in the heart of Adelaide, just 1.1 km from Ayers House Museum. The apartment is 1.3 km from Victoria Square. 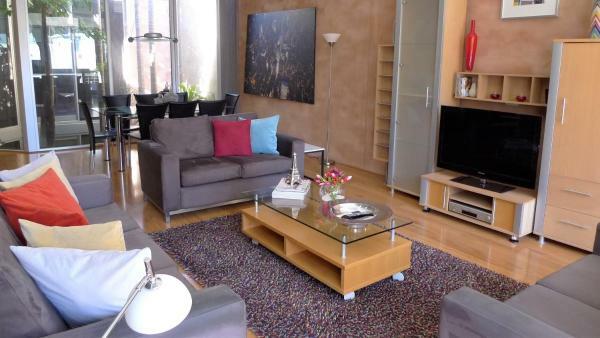 The apartment comes with a TV and a living room. This hotel is 9.08 km from city center. Executive 3 Bedroom Apartment + Internet + Parking offers accommodation in Adelaide, 2 km from Adelaide Oval and 2.6 km from Beehive Corner Building. Guests staying at this apartment have access to a patio. This hotel is 8.92 km from city center. Boasting an outdoor swimming pool and a hot tub, The Adelaide Meridien Hotel & Apartments is located in North Adelaide. A guest laundry, 24-hour front desk and free WiFi in public areas are also available. This hotel is 8.91 km from city center. The Soho Hotel, an Ascend Hotel Collection Member boasts a rooftop deck where guests can relax with cocktails by the heated pool overlooking Adelaide's city skyline. Each guest room features original artworks. This hotel is 9.01 km from city center. Boasting city views, Urban Rest-City Living features accommodation with barbecue facilities and a terrace, around less than 1 km from Ayers House Museum. This hotel is 9.00 km from city center. Located in the heart of the Adelaide's city centre, RNR Serviced Apartments Adelaide offer a private balcony, 3 bedrooms and 2 bathrooms. This hotel is 9.04 km from city center. 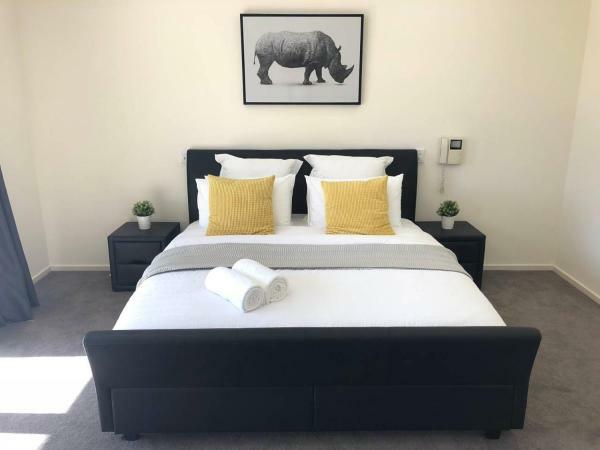 Located 800 metres from Ayers House Museum and 1.6 km from Beehive Corner Building, Superb stay in Adelaides East End is situated in Adelaide CBD of Adelaide. 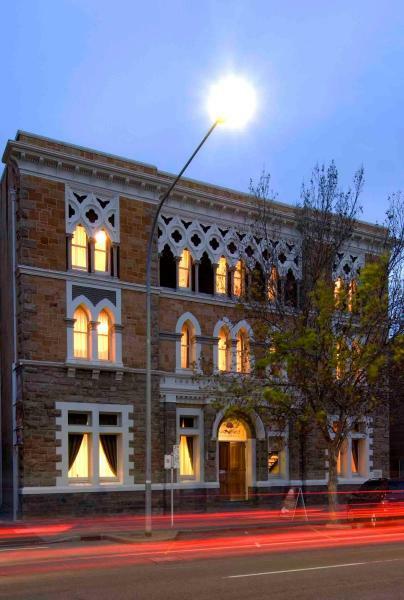 The air-conditioned accommodation is 1.7 km from Art Gallery of South Australia. This hotel is 8.92 km from city center. 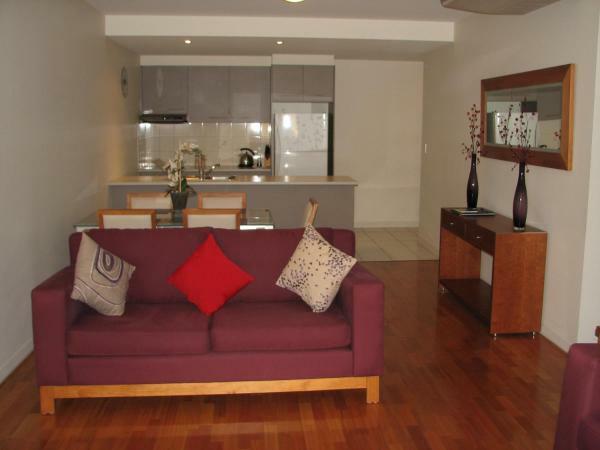 Hume Serviced Apartments offers self-contained accommodation, situated in the beautiful East end of Adelaide. It is located in a quiet and private setting yet is within a short walking distance from a range of bars and restaurants. This hotel is 9.01 km from city center. 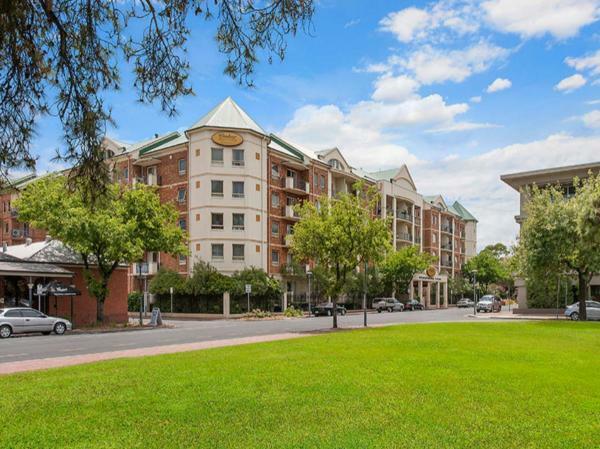 Right in the centre of Adelaide, Carrington Charm - CBD features free bikes, a casino and barbecue facilities. This holiday home also has free WiFi. This hotel is 8.89 km from city center.